Since 1994 we’ve brewed all sorts of exciting beer styles, added lots of brewing capacity and we’ve assembled a great staff. In 2001, we bought our building – which used to be an old dairy processing plant – and set out for over a decade of exponential growth. In 2011, we realized we would soon outgrow our space and began looking for land to expand– knowing that leaving the city was not an option. We are a Denver brewery, and have been involved in the craft beer scene and the community here since the beginning. In 2013, we bought 5 acres in the nearby RiNo neighborhood. It wasn’t easy, but we are so happy to have a place only a mile down the road where we can continue growing for the next 21 years. We broke ground on phase one of our expansion in 2014. In 2015, we finally had the space in our new packaging facility to begin canning. We celebrated the opening of our Barrel Bar in July, and immediately began looking ahead to our Phase Two expansion. Our brewery has become what it is today thanks to our hardworking, creative and passionate employees. Here at Great Divide, Bold Character is more than just a catchphrase, it’s the philosophy behind what we brew, how we think, and what we believe. Independently owned and operated since 1994. In 2011 we launched our Tap Room Giving Program as a way to return the favor to the folks that have supported us from the very beginning. As of 2017, our thirsty patrons have helped raise over $575,000 since the program’s inception. In 2017 alone, $75,000 in donations were raised through the Tap Room Giving Program and 23 different local non-profits were the recipients of these proceeds. Support comes in the form of monetary and/or in-kind donations and often helps fund the various sponsorships that Great Divide undertakes. The Tap Room Giving Program has allowed the brewery to contribute to non-profits working through complicated issues like the Colorado Coalition for the Homeless and Metro Caring while also expanding new partnerships. The program is centered around supporting community initiatives and organizations that provide opportunities to better the Denver community all while aiming to bring people together to try different beers and start a conversation about how they might be able to get involved. Another way the brewery supports the community is our involvement with great causes and events through sponsorships and donations. In 2017, we supported over 100 different organizations through these efforts. We also put our efforts towards sponsoring large community events throughout the year like the Mile High United Way Turkey Trot, Levitt Pavilion Denver, Hops for Homes. In 2017, we had the opportunity to be the official beer sponsor for the Mile High United Way Turkey Trot for a fourth year. We have been fortunate enough to participate as a sponsor for the Mile High United Way Turkey Trot for the past few years. Each Thanksgiving, thousands of participants run in the Turkey Trot to raise money towards work that will help pull families and individuals in our community out of poverty. Every 21+ runner receives free Great Divide brews in the beer garden after the race. We’re excited to continue this Thanksgiving Day tradition with the Denver community. 2017 was our second year as the official beer sponsor for Levitt Pavilion Denver. Levitt is a local non-profit focusing on elevating the local music scene and increasing accessibility to free live music. With the construction of the new Levitt Pavilion in Ruby Hill Park this year, they’ve made huge strides. This past summer Levitt hosted 50 free concerts at the new pavilion where Great Divide brews were available for thirsty concert-goers. We are excited to continue and grow this partnership in 2018 as the organization and music venue continue to grow and elevate the local music scene here in Denver. In 2017 we teamed up with Habitat for Humanity of Metro Denver on the first ever House that Beer Built partnership. Together with the support of 20+ other breweries, Habitat was able to raise $50,000 to help a local family in Denver find strength and stability through homeownership. All participating breweries also spent the summer working alongside Habitat for Humanity to help build the home for a deserving Denver family. Do you want your organization to be considered for a sponsorship or donation from Great Divide? Use our Sponsorship and Donation Submission Form in order to be considered. Great Divide is proud to be one of the leading craft breweries in sustainability. With the help of our Green Team, we have implemented green initiatives throughout the brewery. Our sustainability efforts include a brewery wide recycling program, sustainable breakrooms, eco-passes for all full-time employees, auditing and accountability for every brewery department, a community recycling program, re-using bottle-rinse water, Certified Green taprooms, energy saving motion sensor lights and more! If you’d like to learn more about all of our sustainability efforts including our Community Recycling Program click below. Founded in Denver in 1994, Great Divide is one of the most decorated breweries in America, recognized for brewing some of the globe’s most balanced yet assertive and flavorful beers. These beers have landed an impressive amount of acclaim, earning 18 Great American Beer Festival medals, 5 World Beer Cup awards, and 14 spots on BeerAdvocate‘s “Top Rated Beers: Colorado” (2015). 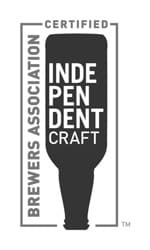 RateBeer.com named Great Divide among the “Top Brewers In the World” (2014), the “Top Brewer in Colorado (2013), and 12th on their list of “Best Brewers In The World” (2013). Here at Great Divide, Bold Character isn’t just a catchphrase. It’s the philosophy behind what we brew, how we think and what we believe.